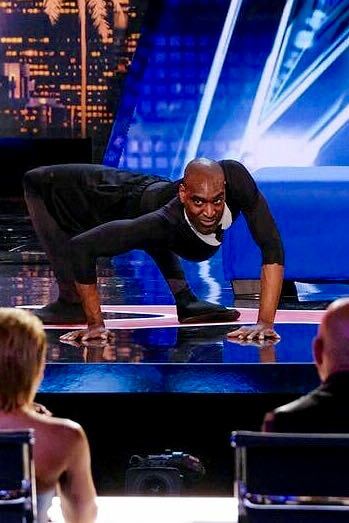 After years of hiding his freakishly bendy body from teasing kids, “Twisty” Troy James has moulted that fear and is now showing the world what nightmares are made of. From humble beginnings as a character performer at Canada’s Wonderland, Troy is now one of the fastest growing internet sensations with videos of his horror creature inspired characters acquiring over 60 million views in just weeks. His (no CGI required) characters can be seen on The Void (Screen Media Films), Shadowhunters: The Mortal Instruments (ABC), The Strain (FX Network), Neverknock (SYFY), Channel Zero (SYFY) and most recently the rebirth of the classic DC Comics villain “Rag Doll” in the 5th Season of CW’s, The Flash. Troy has teamed up with renowned creature movement creator and choreographer, Roberto Campanella (Shape of Water, Silent Hill, The Colony, The Expanse, The Strain) and Founding Cirque du Soleil Choreographer Debra Brown to “stretch” the possibilities as they create new and frightfully exciting creatures as showcased in Season 13 of America’s Got Talent.